Amy McConnell is a part-time science teacher at Alpha Omega Academy. Her responsibilities include teaching students and helping students learn through constructive and concise feedback. Her favorite part of teaching is helping students find their “aha” moment. “When they have been struggling to understand a concept and something just clicks for them and they light up, it makes all of my hard work worth it,” McConnell exclaimed. 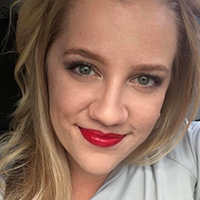 A New Mexico native, McConnell holds a bachelor’s of science degree in emergency medicine with a minor in education from the University of New Mexico. Through her bachelor’s program, she became a nationally registered EMT paramedic. She also earned a master’s degree from Eastern New Mexico University in secondary education with an emphasis in science education. A mother of two kids, McConnell and her husband have two children named Kassidy and Parker. Self-described as loyal, loving, and nurturing, she loves coffee mugs from her travels and all things Disney. She also enjoys dancing. She danced for the New Mexico Ballet Company in the pre-professional and professional programs and danced for the competitive dance team for the University of New Mexico. Today, she serves as a committee co-chair for a ballet and jazz company where her daughter dances.